Despite a high-ranking shift in leadership, the next phase of Royal Military College’s all-encompassing review has begun. 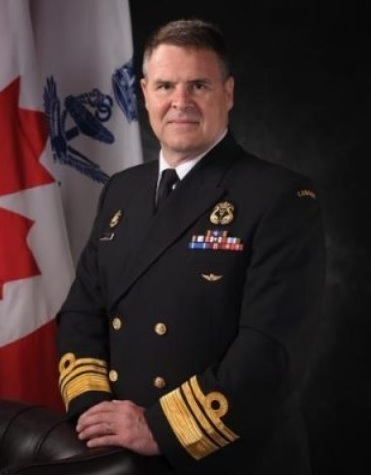 At the end of August, Chief of Defence Staff Gen. Jonathan Vance ordered Vice-Admiral Mark Norman, then vice-chief of defence staff, to oversee a Special Staff Assistance Visit (SSAV) at RMC. The aim of the visit was to completely review life at the college, from the 140-year-old school’s command structure to the selection and responsibilities of RMC staff, stressors on cadets, support for cadets, morale and the four pillars of RMC: military, bilingualism, academics and physical fitness. “It’s as foundational as that,” Norman, who until last week was Canada’s second-highest-ranking officer, told the Whig-Standard in an interview when the SSAV arrived at the college in November. “Gen. Vance came to the conclusion towards the end of August that he’d had enough indicators of symptoms. They’re all different; there’s no one single event or incident. Those “symptoms” include a number of suspected suicides and allegations of sexual misconduct at the prestigious institution. On Monday, the Canadian Forces confirmed Norman had been temporarily removed from his command by Vance. Vice-Admiral Ron Lloyd, head of the Royal Canadian Navy, took Norman’s place as acting vice-chief of defence staff. Maj. Doug Keirstead, military spokesperson in the office of the vice-chief of defence staff, said that, as with the rest of Norman’s responsibilities, Lloyd is now overseeing the SSAV team. “As directed by Vice-Admiral Lloyd, all activities under the responsibilities of the vice-chief of the defence staff will continue as planned. Therefore, the SSAV team will continue their work and the final report will be delivered to the chief of defence staff when complete,” Keirstead said. Keirstead said the SSAV is progressing well. “The SSAV team presented their initial observations to the CDS in December 2016, and they are now completing further analysis of their observations and beginning to prepare their final report for delivery to the CDS,” he said. The eight-person SSAV team is expected to present its final report and any recommendations to Vance by mid-March. Keirstead said the CDS will then take time to review the report before making it public and making any potential changes at the school. Norman said in November that potential changes could be made by the next school year. “I think it would be premature to discuss or speculate what may or may not flow from [the report],” Keirstead said. “All along, the purpose was to provide an assessment on all aspects of climate, training environment, culture, programs, construct of the college and also its superior headquarters. The commandant of RMC, Brig.-Gen. Sean Friday, was unable to comment on the progress of the SSAV.